Like we told you late last week, HB 137 passed in the Senate by a narrow vote. Senator Burns’ anti-gun amendment, which would gut the entirety of the bill, was shot down by a vote of 16-13 — far too close for comfort. As a reminder, HB 137 would remove the current ban on carrying concealed with a permit in government buildings like the State Capitol, city halls, county buildings, and more. 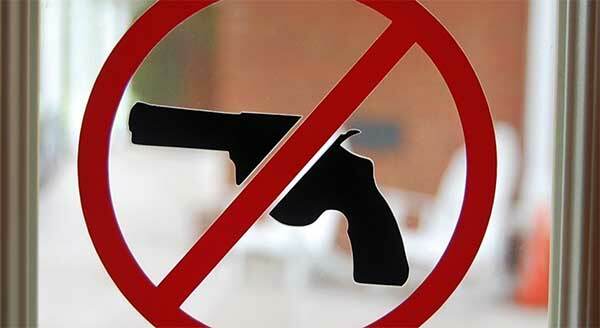 These “Gun Free Zones” are exactly the kind of places where madmen go to try to rack up a body count, as we’ve seen time and time again in churches, schools, government centers, and more. That’s why I need you to take action again -– right away! You see, Senator Burns and other anti-gun legislators are reportedly attempting one last stand on running their ‘local control’ amendment today! This amendment would totally gut the bill by allowing any local jurisdiction to ignore this new law at will –- totally destroying the bill while allowing these legislators to claim to be pro-gun. It’s a nasty backroom deal that’s not designed to keep you safe, but to keep politicians safe at election time! That’s why I need you to immediately call, email, and message your Senator via Facebook right away before today’s final vote on this bill. To find your Senator’s information, please click here! Otherwise you can call the Legislative Hotline at 866-996-8683 and they can connect you. But this isn’t as good as talking to them directly. As you know, the Senate has killed every pro-gun bill that’s been set before them for the last five years in a row! Last week, they did that again by killing HB 136 — Campus Carry legislation that’s passing all over the country. And they are trying to do the same thing again this morning, by amending HB 137 to the point of becoming totally worthless. The moderates in the Senate want to gut a good bill with an amendment, then pass it, then tell gun owners that they passed a pro-gun bill. It’s all about them and protecting them politically, and innocent people pay the price. But it doesn’t have to be! Please help us pass HB 137 with no weakening amendments by contacting your Senator right away! Your message is very simple: Pass HB 137 with NO AMENDMENTS! This is going to happen quickly — so please act fast!